Hello, Dolly! 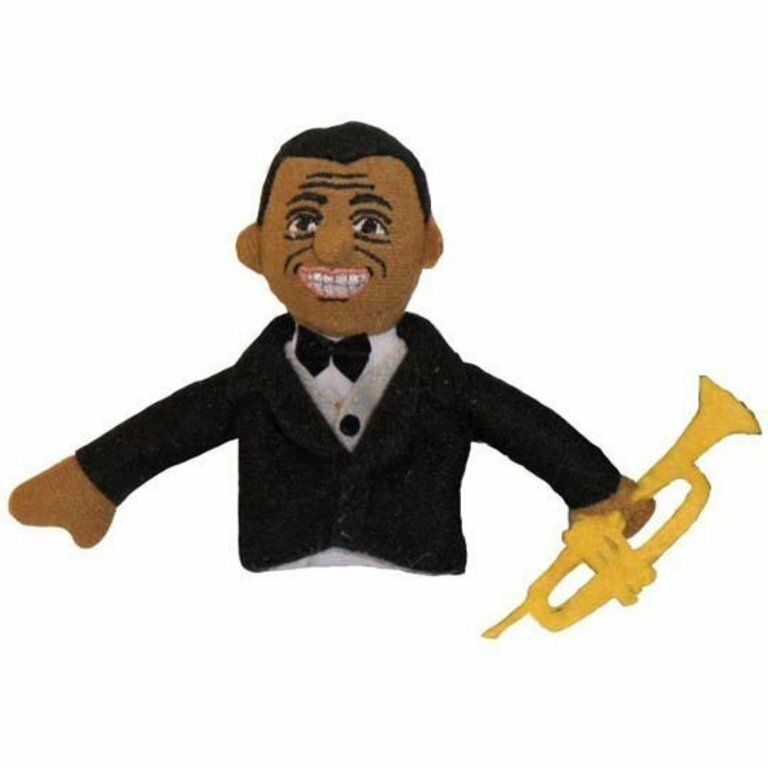 It's the Louis Armstrong Finger Puppet. 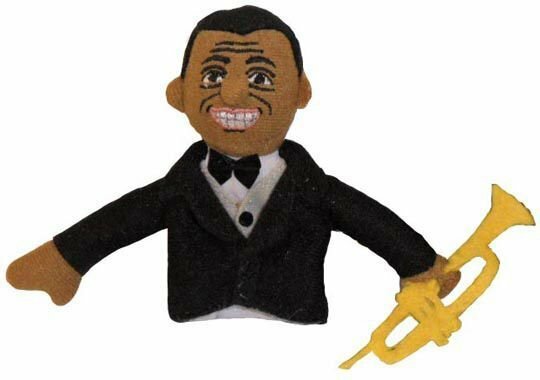 This 4-inch Satchmo has spectacular detail, from his tux and tie, right down to his trumpet and trademark smile. Slip this jazz great onto your finger and you'll say to yourself, "It's a wonderful world."